To make sure you get the best deal we'll show you great prices from all of our drivers, including Elly Man & Van Removals, if they're available on the day of your move. Have a question for Elly Man & Van Removals? No problem, send them a message and they'll email you back as soon as possible. If you have a more general question you might find it answered in the FAQ, or you always contact one of our brilliant customer service team. * Elly Man & Van Removals won't be able to see your email address. CHEAP AND RELIABLE MAN AND A VAN. He was very efficient and got us moved in no time. Job well done. The young man did Excellently well and very polite, respectful and focus. They were excellent, couldn't have helped more... just the best! Such a lovely driver and really helpful. Was early and also helped packing my things into the storage unit. Highly recommended! Moving was a dream! We booked for 4 hours and we were done in 3! Would definitely recommend and use again. Really hard working guys. Worked fast and efficiently and took care of all my stuff. Elly and Charles took care of our things and methodically filled up and emptied their van. They worked hard and quickly and were very courteous and friendly. We would highly recommend that people use them for their moves. Elly was fantastic - will absolutely use again. Thank you! Even though they were late, they updated me and arrived at their new ETA. Absolute gentlemen and smiled throughout the whole move. Would use them again. Drivers were stuck in traffic but let us know. Very polite and professional guys. Everything went smoothly and quicker than expected. Would definitely recommend.Thanks guys! Elly was on time and hard working, thank you! Fourth move I have done with this website. Never had any problems. Thanks once again guys. Both Elly and his colleague were fantastic, very helpful with a nothing is too much attitude. Responsive on email ahead of move and when the day came whilst running a little behind because of traffic, phoned ahead and made up the time. We were moving in at the same time as others in to flats and had to help others unload before we could, which was no bother for either of them. Made it stress free for us and couldn’t recommend them enough! Eli was early, the van was packed fantastically, he handled everything with such care, and we were sad he would not be our mover on Thursday. I couldn't recommend him more. Great driver helped lift everything, arrived on time, very jovial would definitely recommend. The driver was easy to reach by phone, on-time, respectful and got the job done with ease. Brilluant Service we will Recomend you to Family/Friend We Would Use you again in Future. He was an amazing driver, had a good chat and really nice guy overall. Elly was wonderful - helpful, well organised and we had a great chat during the drive! I wholeheartedly recommend his services! Really really helpful, careful, hard working and fast. Thank you for taking all the stress out of my move. Would more than happily use your services again! Charles was professional and friendly- move was all done smoothly and on time. Would use again ! Fantastic job. They were both extremely pleasant and incredibly hard working. The driver is a pleasant person and very speedy. Is highly recommendable. Charles and Elli were early so started immediately. Great service, professional and friendly, went up in the loft to help bring down boxes, and even brought a bed up to my mothers bedroom at the destination even though it wasn't on the spec. I would recommend 100% and will use them again any time I need stuff moved. Brilliant driver. Really helpful, good at his job, polite and pleasant chap. Cannot recommend him highly enough. A very polite driver. Hard working and knew how to handle everything to make the job easier. He arrived on time considering he drove 2 hours on a Saturday morning to get to my house. Would definitely book the same driver again if I was in need of moving things. Driver was on time. Extremely polite and nothing was an issue. Cannot rate the service highly enough. The driver was very friendly and very efficient and had travelled quite a distance to get to me in the awful snowy weather conditions. Many thanks. I'm really sorry to hear you were unhappy with my service. with the boxes and follow on with the heavier goods. This is what we did, together with your two helpers. All the boxes were packed with care and I ensured that the boxes marked 'DO NOT PUT ANYTHING ON TOP" had nothing put on top of them. I deny that I "bashed and dragged" your furniture, but you did have four people unloading the van who I cannot speak for. I feel that my consistent good reviews speak for themselves. In addition, I am surprised that you are now saying that one shelving unit got a chunk taken out of it, yet it was you who tripped with it. I do take care of my customer's items which is why I insist on loading each and every item for safe transportation and can confirm that all your furniture was wrapped and secured. When the van was full I personally stopped you from piling more items in, so as to avoid damage and I am sorry if this irritated you. However, I do wonder why you were all smiles at the end of the move, thanking me for my "great help", rather than raise any of these issues. Hard worker, did well moving my deep king size mattress up a flight of stairs. Great experience with Ellie. Smooth, friendly and patient. Driver was excellent, really really helpful and would highly recommend using. Very friendly. Very helpful. Absolutely professional. And very reasonably priced. Will definitely use this man again & will be recommending to others! Thank you so much for taking the worry out of moving!! Very pleased ! Not only was the driver on time, efficient and helped a lot with carrying the furniture and bags, but he also was a great company on our long way from Manchester to London- felt like I was talking with a friend..Highly recommended! Thanks!! Friendly and helpful. Would use his services again and recommend to friends. This was the second time we had hired Elly - and yet again the service was brilliant! Friendly, efficient and took care of our stuff. Highly recommend. Perfect moving experience! Would recommend anytime! A very good experience. We had thought we would have to make 2 rounds but the driver managed to squeeze it into one. He was very well experienced, friendly and most importantly he was very helpful. Would definitely recommend. Great guys. 2nd time I've used them. Super cheerful, polite, helpful and hard working. Elly was not only extremely helpful but great company to be with and very thorough from start to finish. Will certainly use Elly's services again. Elly was brilliant - friendly, efficient and got the job done! Highly recommend him. Very friendly and helpful driver. Excellent service! Elly was great arrived 20 mins early and worked through without any fuss. Everything arrived in perfect condition. Excellent service would highly recommend. Elly and his mate were fantastic. Very cheerful, respectful and friendly. Would definitely use them again. Elli and his friend was superb. Punctual, professional, very willing to help, and very careful with the furnitures we had! I highly recommend them and I personally will use them again. The move went very smoothly and efficiently - a job went done! Elli was wonderful - really friendly, would definitely ask for his help with the move again! I ordered 2 guys to come at 1000 and 2 guys arrived at 0955. They were polite and my goodness they worked hard! I thought it might take them 3hrs but booked for 2hrs knowing they would continue until the job was done. It took them 1hr 40! I didn't pay much and I would still have given the lads a 5 star review if I'd paid double what I had. To sum up: I am moving more items in the next year over a long distance and will use these guys for that move: they represented excellent value for money and did a good job. The driver was really nice and helpful and perfectly on time. I do recommend him. Driver was flexible with me changing arrangements, arrived exactly on time and the whole process was very easy - thank you! Very good service. The driver helped us unload heavy stuff even though we didn't pay for that service. A big thank you. I would recommend this service to friends and family. Elly was great, helpful, polite and very efficient. I would definitely recommend him and use again. Ele was excellent. Highly recommend! The driver and helper should be considerate to health and safety for their own welfare. By wearing safety boots for heavy lifts. CMV response: There is no legal requirement for the drivers to wear safety boots. The driver was 15 mins late due to traffic but called to let us know. Very nice driver and very fast and careful service, I would recommend the service to others. P.S. : The driver has really good music in the van! Great service by Elly and I was kept up to date throughout. Would definitely use Elly again. Ely was brilliant. I even gave them an extra £20 for not giving up on getting my awkward settee in. Thanks Boys! Charles was early and wonderfully helpful. Strongly recommend him. Very helpful and careful. He asked if we had any questions, listened carefully and carried out the work very efficiently. He was polite, well mannered and helpful - I would recommend him. Every freshly decorated door/door frame was chipped during the move. Careless. I paid for 4 hours, I got 2, otherwise demanded extra for a second 2-mile run. Would not recommend. Although he was a little late he did phone ahead to warn us and explain so it wasn't really an issue. Elly was very good. He admitted a mix up with the booking times which made him about twenty minutes late. However, he called to let us know he would be late. Once he arrived he provided a very good service and was polite, helpful & took care of the furniture. A wrong turn on the mororway set us back around 45minutes but he provided excellent company on the journey from Coventry to London. I would recommend him and his rates were very reasonable. If I could give him 4.5 stars i would. Very pleased. Elly helped with loading the stuff, was very efficient and easy to chat with. Elly's driving skill is excellent and he is very friendly and helpful. Definately recommended. Very prompt, efficient service. Thanks very much! I would highly recommend Elly, very polite, friendly and punctual! Elly and his helper were great, very happy to recommend them and will be in touch with them again should i need the help. The van advertised on the website is misleading as it is quite clearly not the vehicle used. They were half an hour late which is very unprofessional considering I paid �140 for two hours. The men were very pleasant and polite and did a very good job. They worked quickly and carefully. I would not catergorise as 'gold' as advertised and would not pay this rate for the same service again. 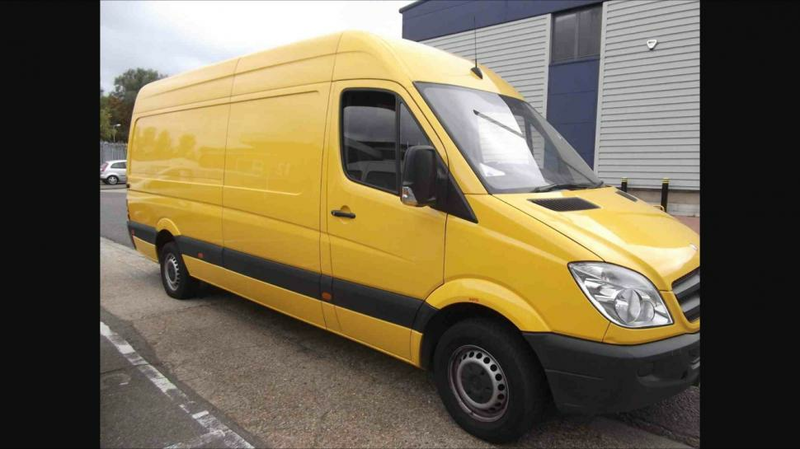 CMV response: We do make it very clear in every email confirmation that the van pictured may not be the van arriving on the day as most of our drivers have more than one vehicle. The term 'gold' refers to the level of insurance held and this driver is a gold level driver on the website. Full details of the meaning of bronze, silver and gold drivers is also clearly shown on the website. Lateness is unfortunate but not always avoidable and we do have a clear refund policy for any lateness incurred. Great service, constant communication and reliable. Even let me know when they were stuck in traffic. Elly was on time,and just got on with it .He was respectful . Feedback from the engineers was that the two guys were great. Strong, listened and could understand english [unlike the ones the day before], polite etc. One brought his daughter with him and asked our client's receptionist to look after her for a few mins...?! I appreciate that emergencies happen in families but had we been asked if this was acceptable I would have said no. It does not reflect well on us as a company.